When you drive away in a BMW, you’re driving away in a superior luxury vehicle. It’s important to ensure that your BMW is running in the best shape possible at all times, and that includes making sure you have the right parts in place. With any vehicle, using genuine parts will help your vehicle perform its best, but it’s especially important with a luxury vehicle. Using non-genuine parts can result in underperformance or even damage if you’re not careful. That’s where Moss BMW comes in. As a BMW authorized dealer, we only supply genuine BMW parts, so you can rest easy knowing you’re getting the highest quality parts available for your car. From brake pads to batteries and more, we’ve got it all under one roof! You can either get parts by visiting our dealership in Lafayette or conveniently order them online. You might be tempted by cheap, non-genuine parts, but at Moss BMW we know our parts can make all the difference in your car’s performance. If you’re afraid that purchasing genuine BMW parts will empty your wallet, have no fear! We constantly offer parts specials online, so you can get the parts you need for less. So what are you waiting for? 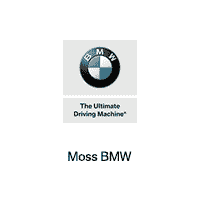 Order parts from Moss BMW today!